Azay-le-Rideau is located in the Loire-Anjou-Touraine Regional Nature Park. Crossed by the Loire, it is punctuated by prestigious castles, villages of character in tuffeau, troglodytes … Here, between rivers, vineyards and forests, nature and culture nourish themselves with harmony, even in gastronomy. At the Grand Monarque, we commit ourselves to the side of the Park whose values ​​we share. 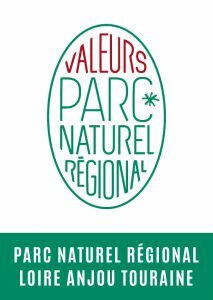 This commitment is recognized by the brand “Valeurs Parc naturel régional”, national brand of the Ministry of Environment. We act for the preservation of the environment, a more solidarity-based local economy, the well-being of women and men. We will be happy to introduce you to our local products, home-made jams at breakfast, cheese, organic wine of Azay-le-Rideau, and to share with you our attachment to our building and the ubiquitous tufeau stone.